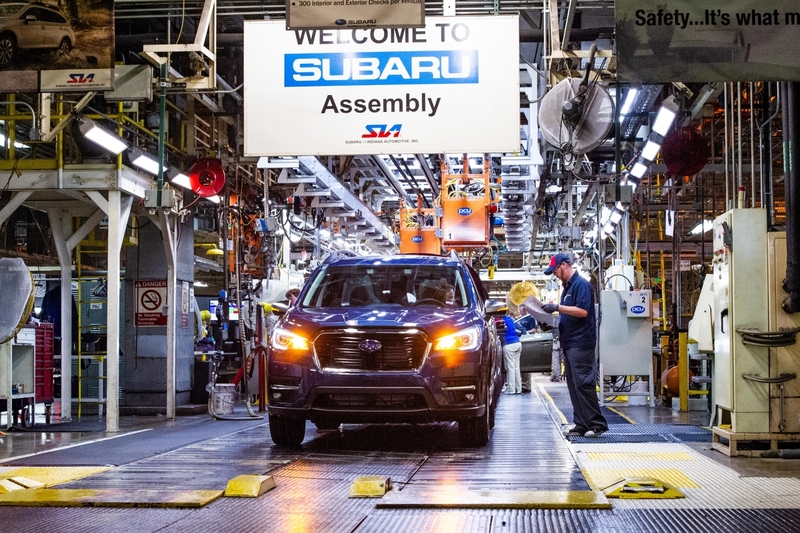 The first 2019 Ascent rolls off the assembly line at Subaru of Indiana Automotive (SIA) in Lafayette, Indiana on May 7, 2018. The three-row SUV, the biggest vehicle in the Subaru line-up, will be available for sale in mid-2018. Members of the famous Subaru canine family, The Barkleys, visited SIA to welcome the family vehicle to the Subaru line-up on May 7, 2018. 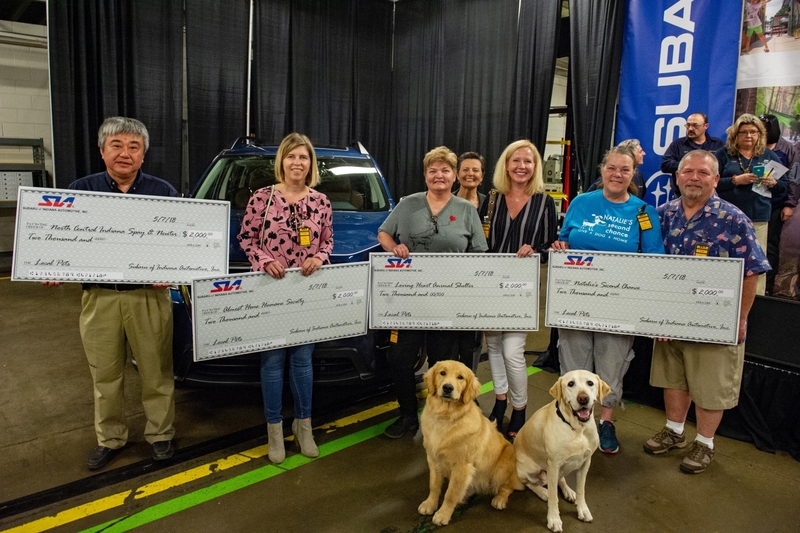 SIA also presented $8,000 in grants to four Indiana nonprofit organizations focused on animal welfare: North Central Indiana Spay & Neuter, Almost Home Humane Society, Loving Heart Animal Shelter and Natalie’s Second Chance No-Kill Dog Shelter.